The tree leans away from the prevailing North Westerly. Typical form for the cultivar and leans away from the prevailing North Westerly wind. 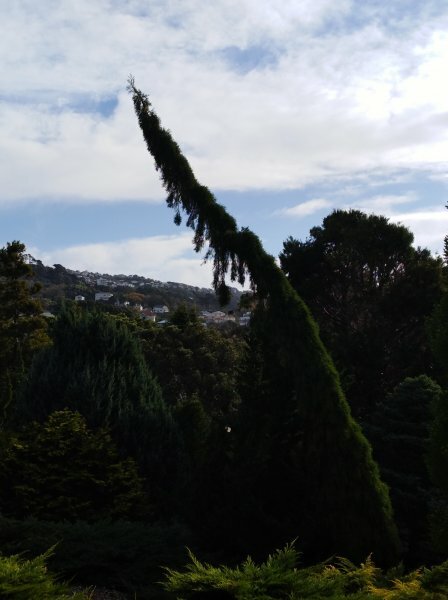 22 May 2018 Mitchell, C. B.
Th tree is located in the grounds of Government House on the "Conifer bank". Permission is required to access it. It is best viewed from the Drummond st driveway.